Book Synopsis: An Australian historian determined to find the truth, a stolen inheritance, a wishing tree, a long-lost grandmother, and an unlikely sweetheart come together in a dazzlingly original, audacious and exhilarating novel about love, honour and belonging, and what it means to be a good person. 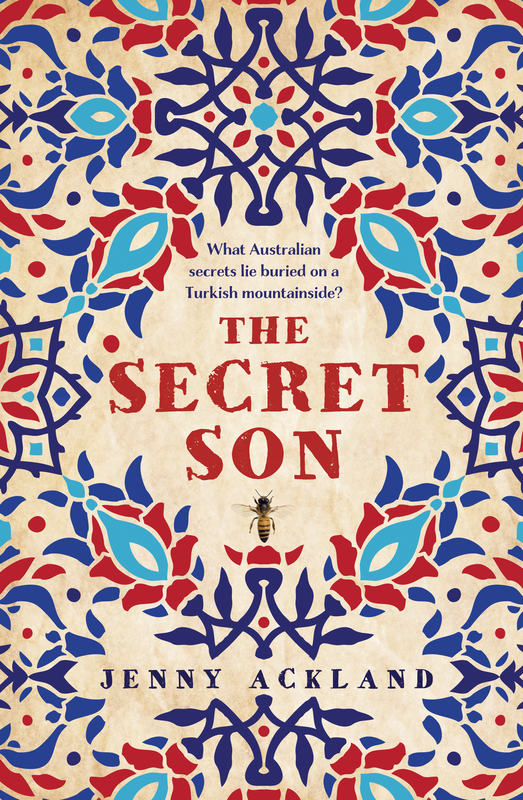 The premise of Jenny Ackland’s novel, The Secret Son, suggests that Ned Kelly fathered a son before he was hung for his crimes as a bushranger at Melbourne Gaol. A young boy grows up not knowing his father, yet knowing he was someone mysterious. James finds solace in the bees he keeps with his mother, their farm and a new life after her death in the city, courting the young daughter of a bookstore owner where he works, until war breaks out. James enlists, and is sent to Gallipoli, to take part in the tragic campaign that destroys so many young lives. It is here that he finds a new home after he is abandoned and ill. Parallel to the story of James is that of Cem, a young boy from Melbourne, of Turkish origin, who is sent back to Turkey and the village James spent the rest of his life in at the behest of his grandfather, Ahmet. It is on this journey he meets historian, Harry, interested in chasing down the story of the supposed secret son of Ned Kelly, a legend that he has heard somewhere and wishes to write about and prove. Cem’s experience at Gallipoli is far less emotional than those he travels with. A young man, he feels lost, trying to straddle the traditions of his family and their expectations, and the modern world. Ackland weaves in the story of James from Gallipoli onwards into the story of Cem, and brings them together to create a mystery that evolves over the book to keep you reading, to find out how and if Cem is connected to James, and why Ahmet agreed to send his grandson back to the village at the behest of a deal made long ago. Generations of families become connected, and two cultures and nations collide after wartime battles and familial connections. It was a fascinating read, and the idea, however speculative, that Ned Kelly had a son is an intriguing one and would be interesting historically, knowing the fascination the Kelly Gang has for Australians. Ackland has executed this nicely. The history of Gallipoli, and the war encapsulates the characters of the village and the events that lead to Cem arriving there well, and creates an intriguing story that is very enjoyable. Sounds like a good book. The review is excellent and makes me want to read the novel.